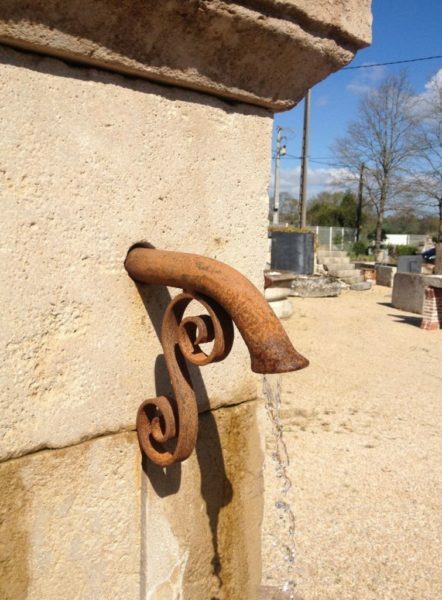 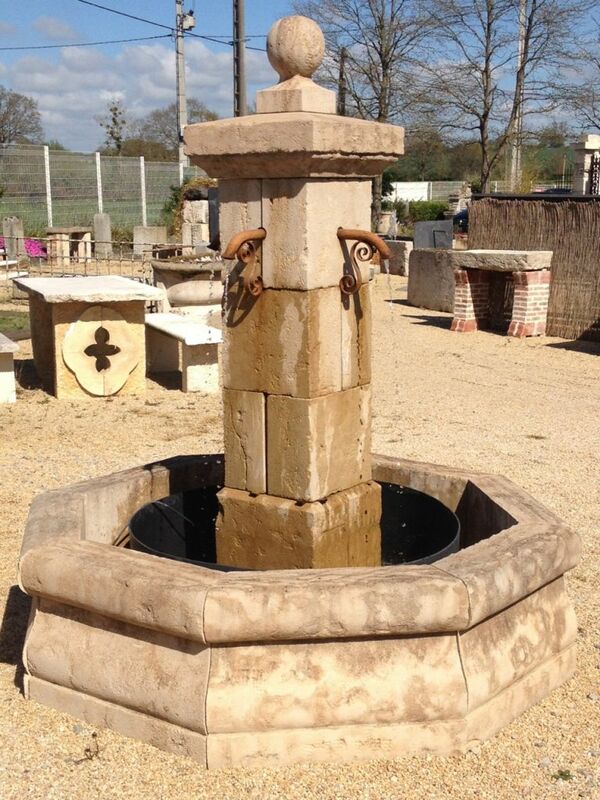 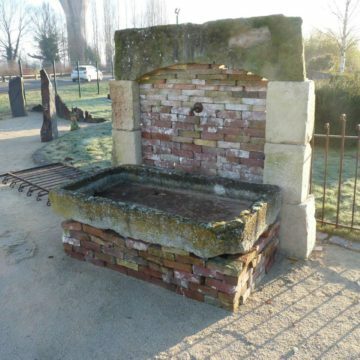 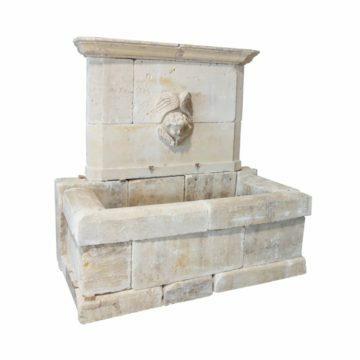 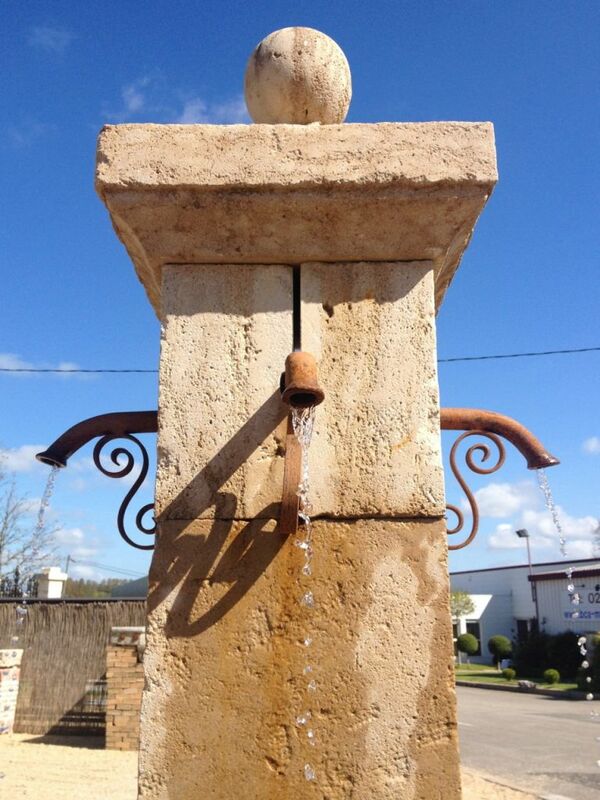 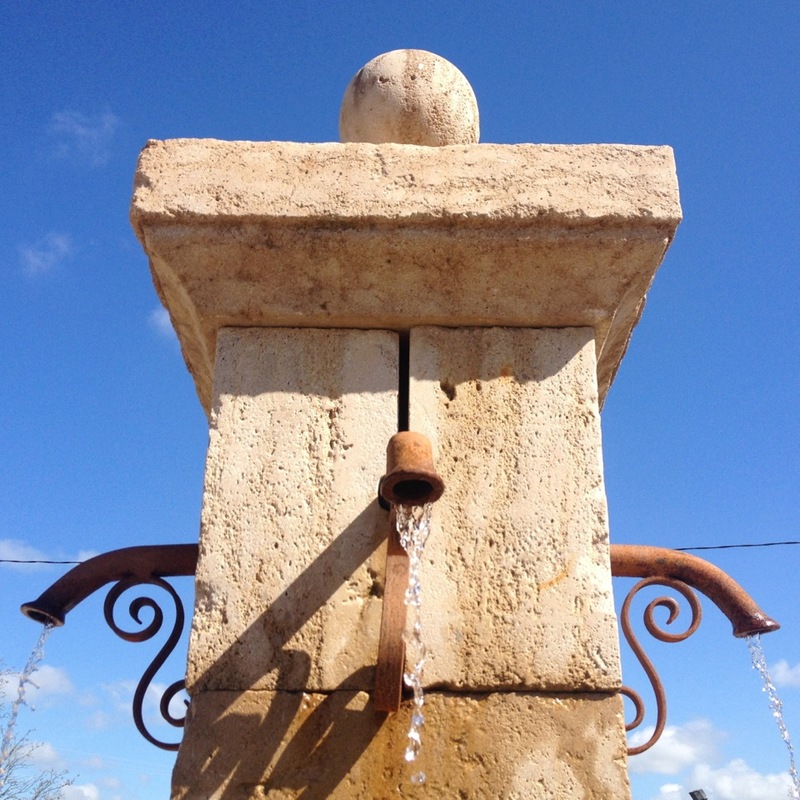 Fountain with pool in the classic Provence style, in limestone. 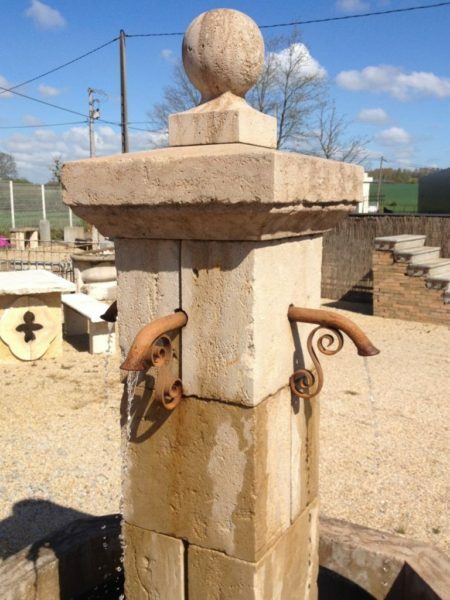 The stonework is hand-made and aged, an authentic reproduction that will quickly weather. Dimensions approx: overall pool exterior diameter 170cm (69 inches), interior diameter 137cm (54 inches) with pool wall height 50cm (20 inches). 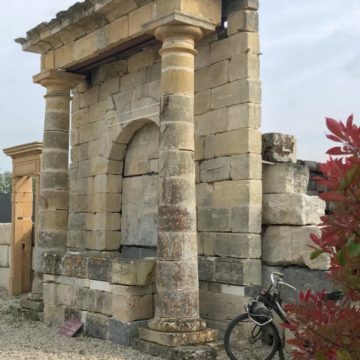 Central column height 176cm (69 inches). 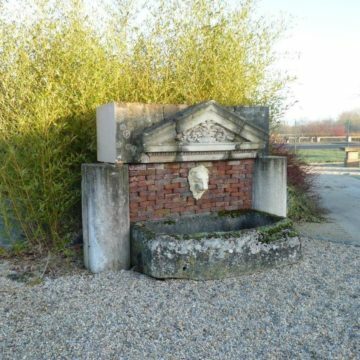 On display at BCA’s premises in the Maine & Loire département, France.